A campaign to tackle domestic abuse received welcome support this week as Staffordshire Police began training a number of officers and members of staff to become domestic abuse champions. The Office of the Police and Crime Commissioner for Staffordshire currently funds Staffordshire Women’s Aid to provide free training for businesses who want to participate in the scheme and 150 champions have already been recruited from the business sector. Every year, nearly 2 million adults suffer some form of domestic abuse. The scheme was developed to support victims and aims to reduce the number of offences. There’s also an economic impact, domestic abuse costs the economy £23 billion a year and employers £1.7 billion a year. Cifas, the organisation that operates the National Fraud Database has highlighted the fact that a great deal of personal information about company directors is available via the Companies House register, leaving directors vulnerable. Responding to a report in the Financial Times last month, Companies House stated that they were working with the Department for Business, Energy and Industrial Strategy to review the availability of personal information on the register. Identity fraud is said to cost around £5.4bn a year according to research undertaken by Portsmouth University. The Deputy PCC, Sue Arnold, has today written to the Right Hon Greg Clark, the minister responsible, asking for an urgent update. The PCC is leading a coalition of partners from businesses, banks, law enforcement and public safety agencies who are sharing their expertise in a concerted effort to protect residents and businesses from all forms of online fraud. Two years work came to fruition when I celebrated the training of 100 domestic abuse champions. I visited Stoke-on-Trent City Council, who have followed in the footsteps of other businesses such as The Donna Louise Children’s Hospice, Staffordshire Chambers of Commerce, Keele University, Burton Albion Community Trust and many more to see the training in action and meet the 100th champion. The programme was launched in 2015 as part of efforts to offer better support for victims of domestic abuse. Nine members of staff at Stoke-on-Trent City Council have now received the free in-depth training which provides information and guidance for nominated staff members to spot tell-tale signs of abuse and give practical and confidential guidance to colleagues. Recorded incidents for domestic abuse in Staffordshire show that over 16,000 cases were reported in 2016. Such crime is estimated to cost the economy £23 billion a year – including £1.7 billion for employers alone and that is just the financial cost. Domestic abuse has a devastating impact on victims and can affect the whole of their lives – including their work. Victims are likely to suffer in silence for a long time before talking to anyone about what they are going through. However, managers and colleagues at work may notice changes in their behaviour – such as problems with concentration, anxiety, dips in work quality, regularly arriving late or leaving early – which could signal abuse at home. By signing up, Stoke-on-Trent City Council alongside many other local businesses are going public with their commitment to tackling domestic abuse and show a clear commitment to supporting staff who are victims in a sensitive way. To find out more or to sign your business up visit http://www.staffordshire-pcc.gov.uk/domestic-abuse/. Today I unveiled a ground-breaking survey into the true state of cyber crime in Staffordshire. I’ve spearheaded work ( with my wonderful colleagues at the office) to show the true extent of the cyber crime epidemic and the victims it leaves in its wake, said the survey, the first of its kind to be carried out in the county, shows the level of crime identified is actually just the tip of the iceberg. This survey shows the number of crimes is at least double the amount Staffordshire Police is currently aware of and that is shocking, because we know the majority of cyber crime is still unreported by individuals and businesses. We’ve pioneered a new approach with the creation of an online fraud partnership forum, which brings together a wide variety of organisations and law enforcement to tackle online fraud together for the first time. We have ensured cyber crime victims are supported in Staffordshire with help from the Victims’ Gateway, which is unique to the county thanks to the police and crime commissioner’s office. 46,000 of those who go online with dependents under 18 have not taken measures to protect them. 146,000 of those who go online have not taken any measures to protect themselves. The county-wide survey forms part of a cyber-crime awareness week launched in Staffordshire by Police and Crime Commissioner Matthew Ellis, who is shining the spotlight on the issue and calling for a review of Action Fraud, the national body for reporting cyber crime and online fraud. The survey provides a snapshot of over 1,100 households in Staffordshire and Stoke-on-Trent, where all those aged 16 and over were interviewed. The results give an indication of the current situation and will now help build a clearer picture for the future. The survey demonstrates that potentially 62,000 internet users across Staffordshire were victims of at least one cyber attack. Of these, only 12% reported the incident to the police and 2% reported to Action Fraud. The survey highlights a cause for concern with 1 in 5 internet users not taking any steps to protect themselves online. Worryingly, over a third of respondents with young people in their household had not taken any steps at all to protect them from a cyber attack. The results highlight the need to stay ahead of the cyber criminals and it is apparent more work needs to be undertaken to combat this ever-growing threat. This research, for the first time, paints a picture of how cyber crime is truly affecting people of all ages across Staffordshire and Stoke-on-Trent and gives us a starting point to shape how we tackle it from now on. The picture above denotes that cybercrime knows no barriers from the very young to the not so young! The way cyber crime is dealt with needs to change and change quickly if we’re going to have a chance of fighting this huge threat effectively and giving victims the justice they deserve. Deputy Police and Crime Commissioner (DPCC), Sue Arnold is calling for an end to the insensitive and unfair practice of charging victims of domestic abuse money to receive a medical letter to prove they have been abused. Mrs Arnold said: “It is insulting to these victims that they are being charged up to £300 to receive a letter to prove that they have been a victim of this crime. “People experiencing domestic abuse should be offered support to help remove them from their situation not be presented with obstacles to make leaving even more difficult. “These victims and their families go through a terrible and often prolonged ordeal which can affect them for the rest of their lives. suffer in silence for a long time before talking to anyone about what they are going through. Making sure that different organisations across Staffordshire and Stoke-on-Trent work together to provide better services which are cost effective has been a priority of Police and Crime Commissioner for Staffordshire, Matthew Ellis’ since he came into office in 2013. As part of this priority a workplace-based initiative was set up in 2015 by DPCC Sue Arnold to offer better support for victims of domestic abuse. Organisations who sign-up to the programme – at no cost to themselves – commit to taking steps to support staff in abusive relationships and make sure victims are aware that help is available. In Staffordshire domestic abuse has risen by 18% with over 13,000 crimes reported over the last 12 months. NOT QUITE A SHOE-IN: The reason for my ‘no shoe’ floor show was simple. 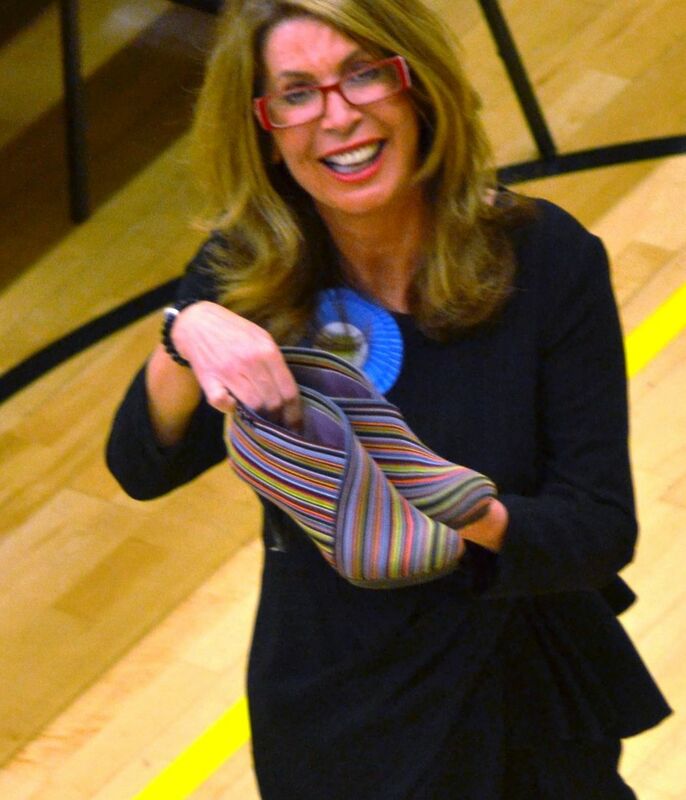 My high heels could seriously damage the floor of the university’s Walsall campus sports centre where the count was taking place – and I have far more respect for the surface than to just keep pacing up and down causing unnecessary damage. LIKE most people I don’t always instantly agree with the utterances of a rival but London mayoral hopeful David Lammy hit the nail on the head the other day when he said that never again must politicians “lose touch” with those who support them. It made me take stock as I pen the last blog of my incredible six-month campaign journey to return Walsall South into safe Conservative hands for the first time in 45 years. And a week on from the long night at the university’s Walsall Campus Sports Centre, I’ve had time to reflect on my mission. I watched with more than a little green-eyed jealousy at the pictures of the new Tory intake of MPs posing with David Cameron – next to him my dear friend Craig Tracey who has increased the Conservative majority in what had been the country’s most marginal seat in North Warwickshire. His opponent, ex Labour minister Mike O’Brien was 9-2 ON to win the seat at the bookies before last Thursday’s vote. Good on you Craig. But was I wrong (or naive) to believe that I should – like Craig – have defied the pollsters and pundits and joined the Tory tide that swept across many parts of England and Wales, returning David Cameron to No10 Downing Street without the need of a Lib-Dem Coalition partner to prop up, and water down, the administration? It would have been a delight to be one of the 191 women in this parliament (up to 30 per cent of the 650 intake) and I’m more than a little pleased to see that this time round the PM has given important roles to female Tories. Ten women now grace the cabinet including Pensions Minister Ros Altmann, Employment Minister Priti Patel, Energy Secretary Amber Rudd and Treasury Economic Secretary Harriet Baldwin. As a businesswoman of 35 years standing, I’m most envious of ex-journalist and criminal barrister Anna Soubry who has been handed the unprecedented title of small business minister. Certainly the country will be better served in the next five years with a Tory-only government that just didn’t seem remotely possible until that BBC exit poll – and then at 1.52am the now pivotal result from Nuneaton with Tory colleague Marcus Jones increasing his majority from 2,000 to 5,000 in a crucial Labour target seat. My own result in Walsall South saw my opponent Valerie Vaz increase her majority to 6,000 with a 5.03 per cent swing away from the Conservatives to Labour. Why did it happen? In Walsall South the Lib Dem’s lost votes went to Labour, and the doubling of UKIP votes on 2010 went against us. The demographics of Walsall South also played their part, the highest child poverty record in the Midlands and the soaring percentage of benefit claimants. This disappointing outcome, for me personally, was at least repeated across the metropolitan areas of Britain. Labour took or regained every seat in Birmingham, Wolverhampton, West Bromwich, Coventry, Manchester, Liverpool and the North East as well as large swathes of inner London. The dramatic vote collapse of our former Lib-Dem Coalition partners and the Ukip squeeze certainly had an effect in the cities and big towns while smaller urban areas, the country at large and shire counties had different political ideas – thank goodness. Was it a good, clean fight? Well I had to deal with twitter trolls, nuisance calls, including a strip-tease offer, and one proposition. My greatest fear had been the Lib Dem vote, more than 5,900 in 2010, and my anxiety proved right on this one. We worked diligently with the previous Lib Dem candidate to support our campaign but were dealt ‘a blow’ when he erected one of Valerie Vaz’s boards in his garden, despite his verbal proclamation to support us. 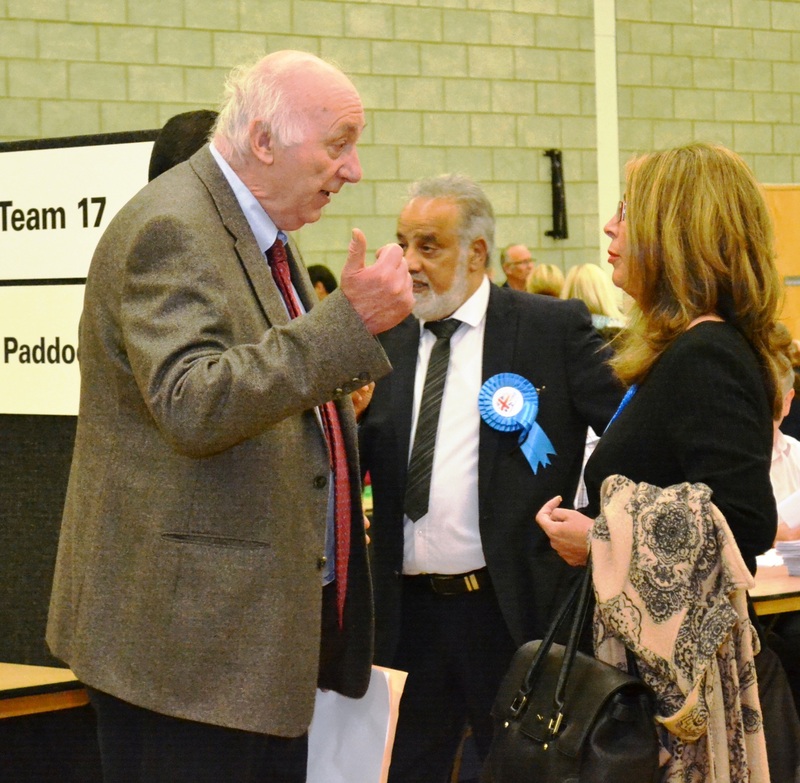 There was much talk of alleged electoral fraud hotspots in Walsall (which we believe we witnessed and certainly heard about first hand). Perhaps those postal votes, delivered to the council offices on election day and brought into the count in the early hours of last Friday, were nearest the knuckle. They certainly shifted the balance on the piles of votes towards Labour as dawn broke. So am I a sore loser, I hear you ask? Only from a wearing down of my toenails and a weight loss point of view during the most hectic six months of my life. At 55 I’m not in my first flush of youth – like SNP winner Mhairi Black, who at 20 is the youngest MP for 350 years – but I feel I couldn’t have worked any harder in my bid to serve the people of Walsall South. I received tremendous support from all quarters but in the end the valiant effort was not enough. We fought a clean and positive battle and undoubtedly our efforts to win the war were rewarded in the national picture. On the plus side I took as compliments our opponent’s comments about running a “slick, advertising campaign”, increasing our profile and even the suggestion I had turned up to be photographed picking litter dressed like I was going out for a “night at the Savoy”. The coat was actually from M & S! There’s nothing pure about politics but I can have few complaints. 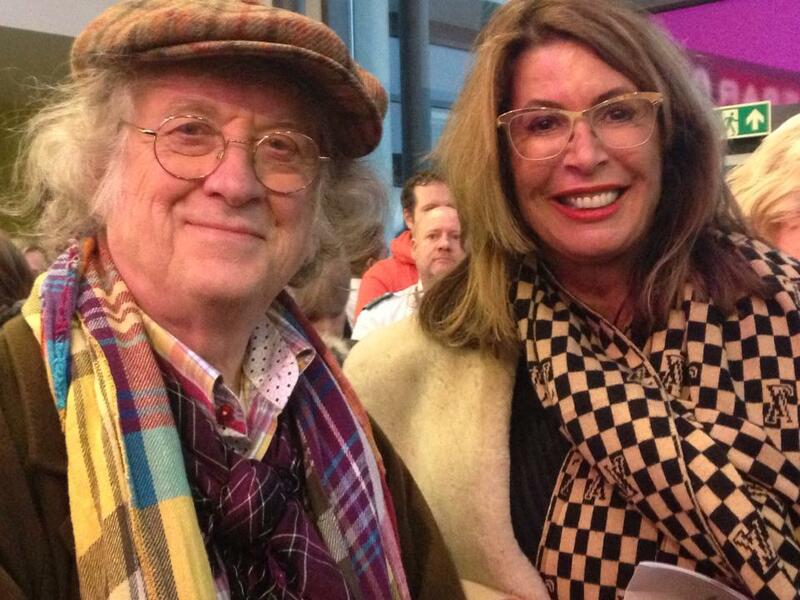 While I enjoyed following the Saddlers to Wembley for the first time in Walsall FC’s 127-year history and being with Walsall-born Slade frontman Noddy Holder at the Christmas lights switch-on, it’s right to say that politics is not about personalities, photo opportunities or social media, it’s about people. Right at the end of the campaign I was thrilled that individuals took the time to tell me my contribution in promoting Tory values in Walsall South should “never be forgotten” and as a result at least one person had been persuaded to join the Conservative party and work for it in future. But, regardless of the above the electorate have spoken and I respect its decision. FRIENDLY RIVALS: Former Walsall South MP Bruce George bumps into me at the general election count at Wolverhampton University’s Walsall Campus Sports Centre. Mr George held the seat for Labour from 1974 until he retired in 2010. Was he trying to tell me something? Defeat is not the worst of failures. Not to have tried is by far the greater sin. Returning to Mr Lammy’s wise words I hope that in Walsall’s case that the public are not “taught a harsh lesson” by their democratic intent. Born, bred and schooled in Walsall – as well as launching the Walsall Advertiser at the age of 21 – I will be watching the progress of the incumbent MP in “putting the people of Walsall first” at Westminster. One good thing did come out of Walsall on election night 2015. For as the Tories secured their first majority in 23 years by repeating the performance of John Major in 1992 who defied the polls, as well as the critics, we must remember that his father – a humble circus performer called Tom Major-Ball – was Walsall born and bred. As I complete my last Walsall South blog, I feel strangely re-energised. 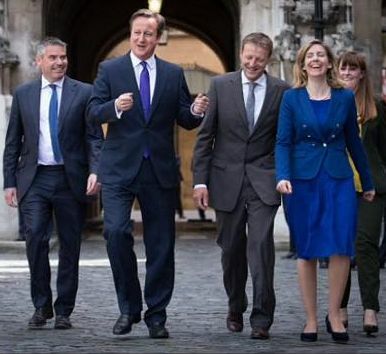 They’ll be no need for the words of advice on becoming the ‘freshers’ in Westminster . . . no need to take up bike riding (I do it already) . . . I’ll still be able to chat to people on the bus (and not freak them out) . . . and won’t have to talk endlessly about ‘almond flat white’ being my new coffee mate. The post traumatic campaign stress is behind me. I’m already reacquainted with housework and my darling husband John, who’s followed me every step of the campaign, has had his first cooked meal from ME in six months as well as discreetly removing the posters from the campaign wagon and the banners around the town. My business associates have heard my ‘Yam-Yam’ voice again and I’ve resumed my duties as deputy police and crime commissioner for Staffordshire. Even the Jack Russells can’t believe I’m home to stay. Sue Arnold, local girl, local champion and still working for the local community. 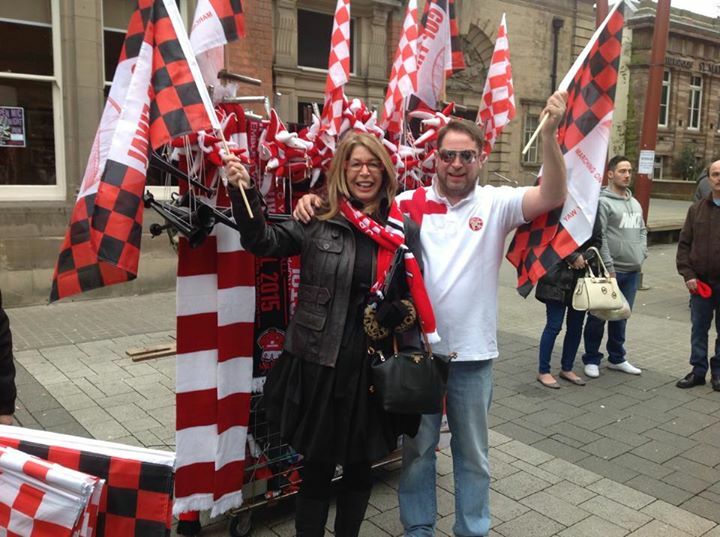 WSD – Walsall South Day – I wouldn’t have missed it for the world. Now I can’t stop singing this little ditty I’ve made up, borrowed extensively from Harry Williams’ famous Tipperary tune. And the sweetest town I know. But my heart’s still there. Friends, Yam-Yams and countrymen and women . 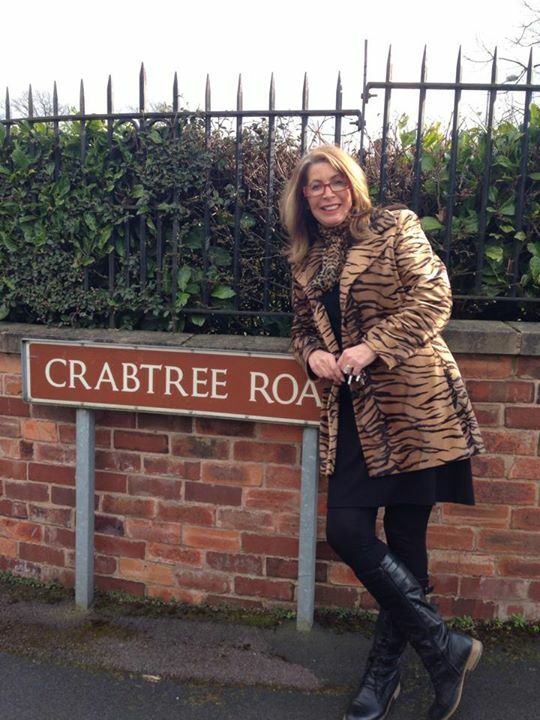 . . you can take the girl out of Walsall but you can’t take Walsall out of the girl.